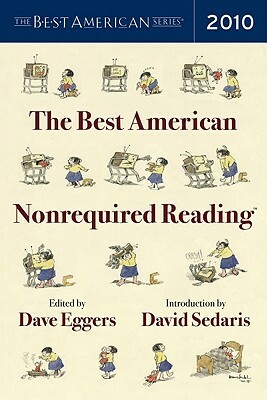 An eclectic volume introduced by David Sedaris and compiled by Dave Eggers and students of his San Francisco writing center, who don’t leave a stone unturned in their search for nonrequired gems. Cover art by art by Maurice Sendak. DAVE EGGERS is the editor of McSweeney’s and a cofounder of 826 National, a network of nonprofit writing and tutoring centers for youth, located in seven cities across the United States. He is the author of four books, including What Is the What and How We Are Hungry. David Sedaris is the author of six books, including When You Are Engulfed in Flames, Dress Your Family in Corduroy and Denim, and Me Talk Pretty One Day. He is a regular contributor to The New Yorker and Public Radio International’s This American Life.